ElizabethDBakes is a successful "free from" baked goods manufacturer. This is her third PrimeStox offer. Founded in 2015, Elizabeth Draper's company has established itself as a best-seller in WholeFoods making "free from" varieties of American baking classics. ElizabethDBakes' first two offers on PrimeStox repaid on time. The company has recently moved into its new premises and obtained its coveted SALSA accreditation. Now they are ready to take on larger orders. You can fund ElizabethDBakes' growth here. You can earn 6.8% in 6 months. Also, the first ten PRIME investors in this offer will receive a FREE HAMPER of Elizabeth D's best selling products in the post as a special thank you. ElizabethDBakes III successfully raised £24,160 to fund the production of 1,208 packs 74 days ago. Check back soon for more offers. *Please note that this offer is raising £20,000 not the £30,000 mentioned in the clip. After filming, Elizabeth D. successfully secured the balance from another source. Elizabeth’s inspiration comes from her childhood in the American South where she learned to bake from her Grandmother and her mother. Elizabeth moved to the UK in 1986 and worked in the film industry, doing baking as a hobby. 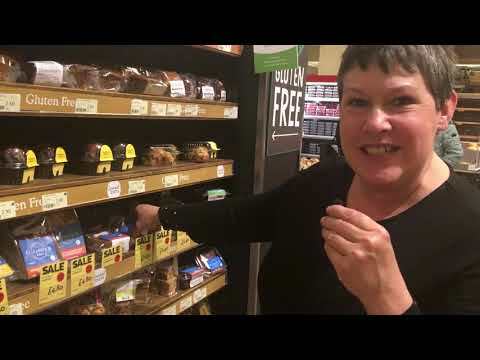 Selling in Brixton Market 6 years ago, Elizabeth found customers actively seeking vegan and gluten free options and so Elizabeth began applying her baking talents to the "free from" world. Her first baking company acquired the prestigious Waterstones Cafe W account, won 2 Great Taste Awards and was sold in 2014. Her latest creation ElizabethDBakes was founded in 2015 and is now one of the best-selling "free from" bakery suppliers to WholeFoods, also winning Great Taste Awards in 2016 and 2017. As a special thank you to PrimeStox investors ElizabethD is making a special offer: ONE FREE HAMPER of all of her best-selling products will be posted to the FIRST TEN PRIME investors in this offer after it closes. In 2018 ElizabethDBakes's sales were stable at about £100,000 and the company is aiming to triple sales in 2019. 1) Moved premises to Bexley to a ground floor unit with much larger capacity. 2) Obtained its coveted SALSA accreditation. The company can now target larger buyers including potentially national supermarkets. ElizabethDBakes has also received expressions of serious interest from the food service sector including trains, airports and events caters. To achieve this the company is raising £20,000 to hire salespeople, buy in more equipment and to bring a new plastic free packaging to market. In return ElizabethDBakes is offering to repay in 6 months plus 6.4% profit. The offer is backed by 1,000 specially selected packs of gluten free and vegan products.